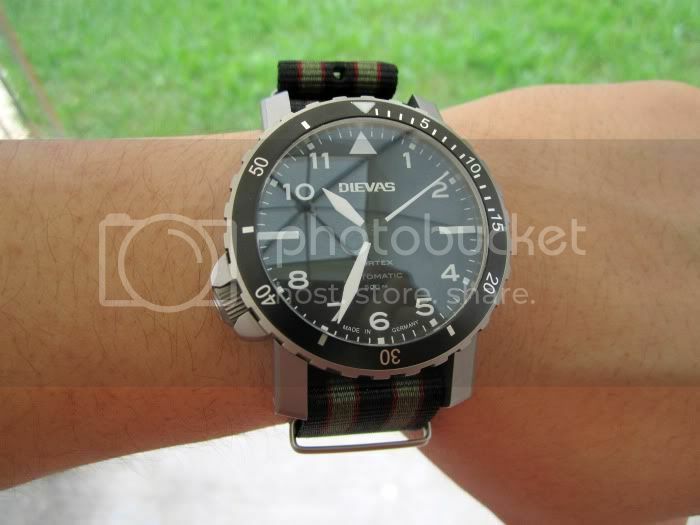 TimeTechTalk.com > 3T Official Brand Forums > Dievas Uhren Technik > Vortex on "Bond" Nato? Will take a few more of natos when I get the camera back. WOW! Rolf, you look like you've been hoarding some straps for Christmas. . Impressive variety you have there. "Hi, my name is Rolf and I am a strap-oholic!" And Halvis, the sum of bad habbits is constant, so like I tell the wife ..."out of all the "bad" things I could be doing, making straps and collecting watches is pretty darn nice if you ask me ..." Hehe. But, might just have to admit myself to a strap-rehab program, u never know. that is exactly what I have told my ex-wife and ex-GFs regarding hifi stuff over the years, so I "get it". Halvis wrote: that is exactly what I have told my ex-wife and ex-GFs regarding hifi stuff over the years, so I "get it". HAHAHAHA! Ok ...I`ll remember that the next time the "issue" comes up. FINALLY! Here's the update. Not too shabby. 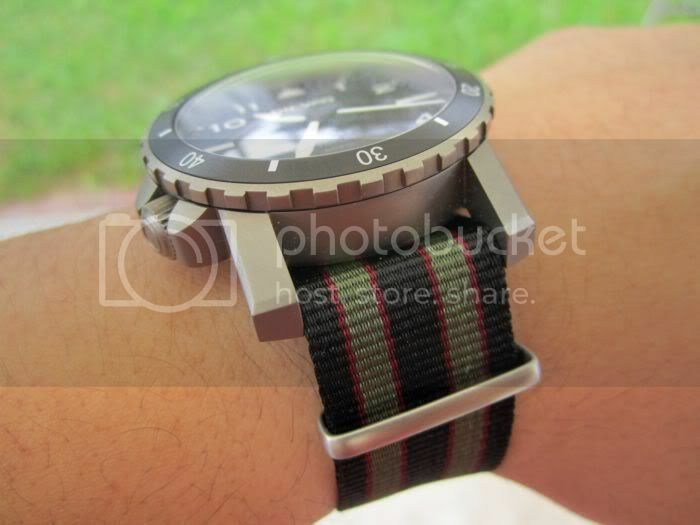 The above is Maratac's version of the Bond strap. Page processed in 0.1593 seconds (13% database + 87% PHP). 30 queries executed.